The Mount Mitchell Byway is a very scenic 52-mile mountain drive, packed with vistas among the peaks and valleys of Yancey and Madison counties. 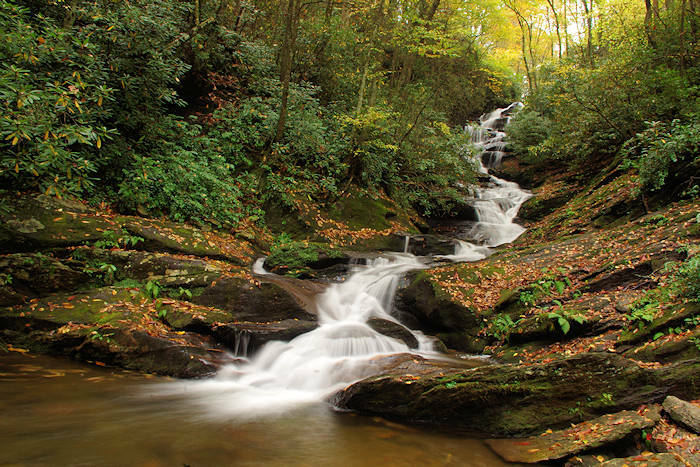 This official North Carolina Scenic Byway begins on the highest peak east of the Mississippi and traverses Pisgah National Forest and the Blue Ridge Parkway. 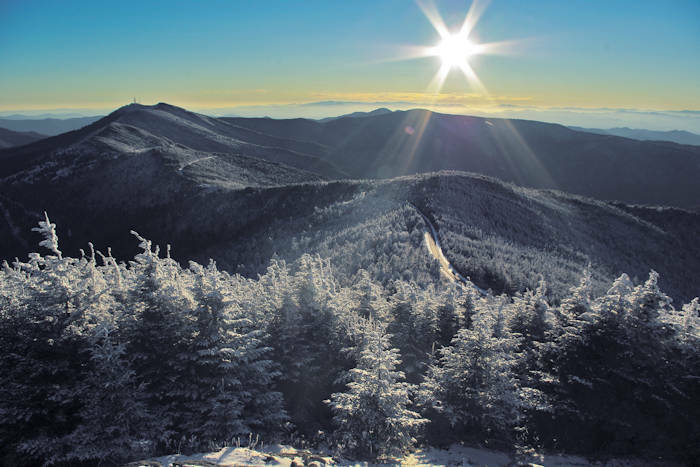 After an opening five-mile stretch of N.C. Highway 128 in Mount Mitchell State Park, the route heads east on the Blue Ridge Parkway for nearly a dozen miles. 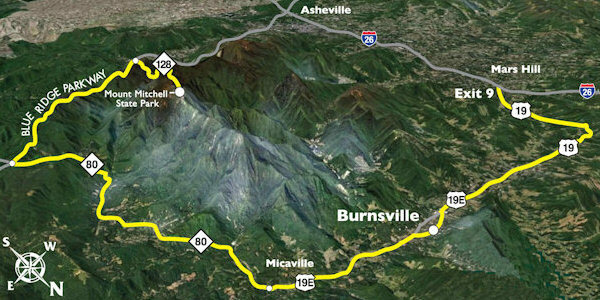 From the parkway, it dives onto N.C. 80 for a 13.4-mile descent into the Toe River Valley. 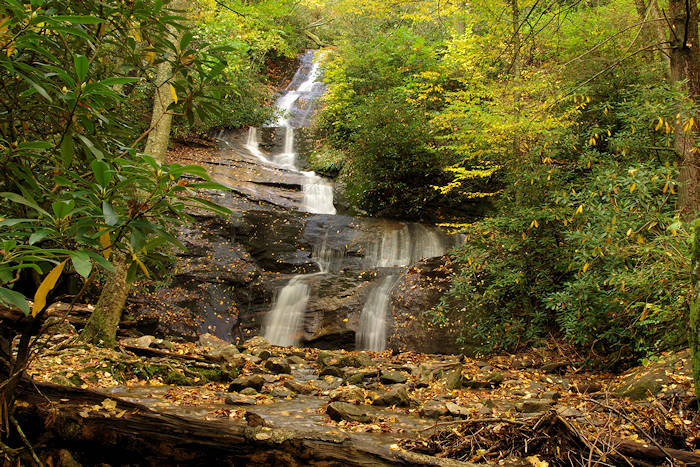 Just two miles from the Parkway are Roaring Fork Falls and Setrock Creek Falls. 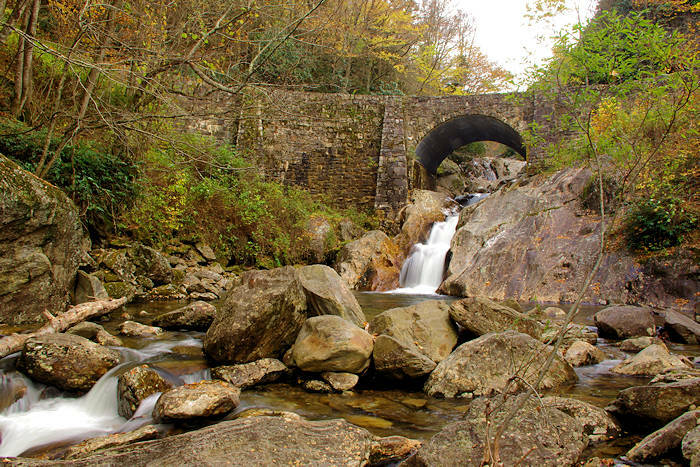 The Toe River Valley is the cultural heart of the Mount Mitchell Scenic Byway. It's an area full of artist studios and quilt trails. 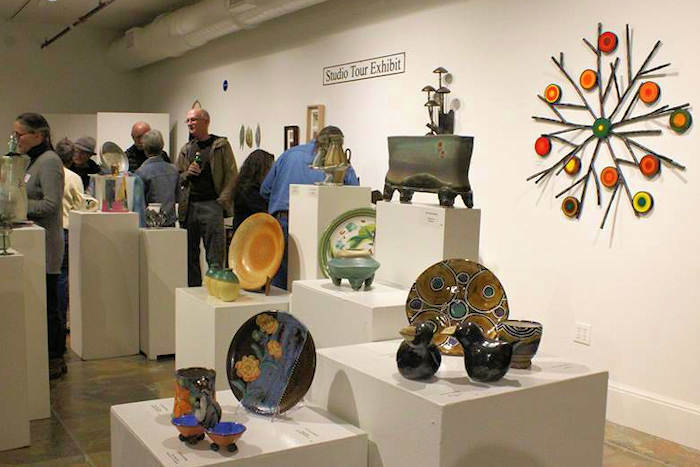 Some of the best-known glass blowers on the East Coast are located in the Celo community, just off N.C. 80. The N.C. 80 portion of the drive concludes in Micaville. From there, the byway runs four miles westward into Burnsville, via U.S. 19E. The route passes Town Square, a one-acre green space, and continues down the Main Street of Burnsville, a Norman Rockwell kind of place with plenty of shops and restaurants. The byway's final leg goes nearly 17 miles westward along U.S. 19 to Madison County, where it intersects with Interstate 26. Go east on I-26 to return to Asheville. The Mount Mitchell Scenic Drive takes 1.5 hours to drive. It crests the Eastern Continental Divide, bisects the Pisgah National Forest and passes 46 WNC Quilt Trails blocks. It's a great way to explore the Blue Ridge National Heritage Area. 1. Go slowly and enjoy the scenery on the curvy mountain roads. Allow plenty of travel time. 2. Stop only at overlooks to soak in the views. Don't make sudden stops to get that perfect picture. The sharp curves create limited visibility. 3. Take a jacket. With the elevation changes as you drive, the temperature may vary as much as 20 to 30 degrees. At the highest elevations, the hottest summer days only reach into the 70s. Many of the higher sections of the Blue Ridge Parkway are closed in the winter months for snow and ice. 4. Watch for hikers and bicyclists. 5. Gas up before you begin your journey. There is only one gas station on the Blue Ridge Parkway and they can be a rare site when you are in rural areas. 6. Restrooms and restaurants can also be a rare site. Plan ahead! 7. Please do not disturb wildlife or plant life. Bear sightings are rare. 8. Get some good road maps. GPS doesn't always send you the best route.